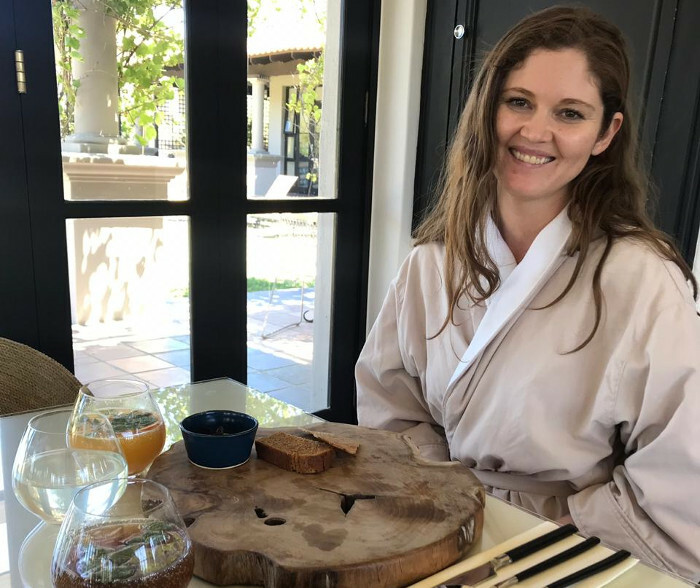 Calling a spa “heaven” has become an industry cliché, but if ever there was a spa deserving of that label, it’s this stellar hideaway in the winelands. Located on the breathtakingly beautiful La Bella Vita Wine Estate, the recently refurbished Santé Wellness Retreat and Spa offers the ultimate spot for city-weary folk to relax and unwind. 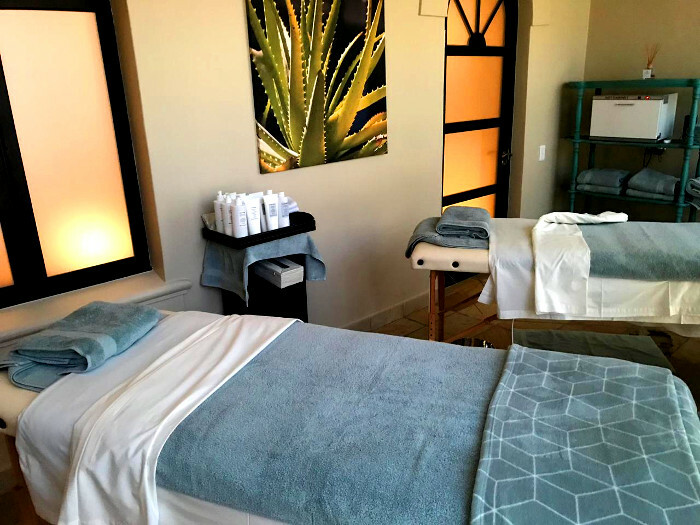 Santé’s fresh approach to beauty and wellness is what truly sets it apart from the competition — unlike many other spas in the Cape, where the emphasis is mainly on beauty and indulgence, Santé places special emphasis on well-being, starting from the inside out. Let’s be honest, there aren’t many places you can visit in the winelands where you leave feeling healthier than when you arrived. There’s a lot to love about spending a day sipping on delicious wines and indulging in moreish food but that inevitable next-day wine and food hangover leaves a lot to be desired. Santé Wellness Retreat and Spa offers indulgence of a different kind. Indulgence in uninterrupted peace, serenity, and that much desired, ‘me time’ that we all long for but never really take the time to enjoy. Decorated in calming blues and greens, with natural wood and stone accents, Santé’s sprawling day spa features beautifully decorated treatment rooms, a yoga and Pilates studio, indoor and outdoor swimming pools, jacuzzi, steam room, sauna, nail lounge, tranquil dining area, and a one-of-a-kind Health Optimizing Clinic. 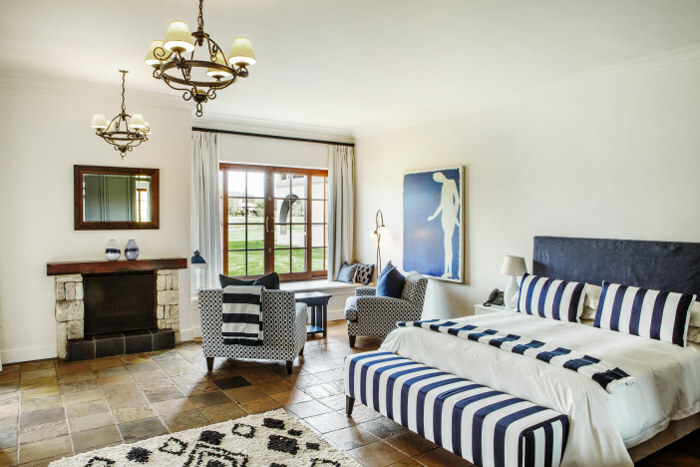 In addition to the Day Spa, the retreat also boasts 30 luxurious overnight suites, an on-site restaurant, and a kitted-out conference centre — all spread across the majestic eight-hectare estate. The wellness experience can be integrated into every aspect of your stay at Santé, whether you’re simply popping in for the day or are treating yourself to an overnight stay. For those visiting the Day Spa, Santé offers four programs to choose from including the Relax program (for those who need a break from the daily grind), Rejuvenate program (to help fight fatigue and free radical damage), Detox program (to help releases toxins in the body), and Healthy Ageing program (to help decrease the visible effects of ageing). Each program is designed to cater for specific needs and concerns and is available as a half-day or full-day package including a deliciously healthy spa lunch, infused waters and unlimited access the spa hydro facilities as well as the labyrinth and a 45-minute yoga class. Comfy-cosy treatment rooms at the Day Spa. Guests can also book individual treatments or add additional treatments to the programs to customise your Day Spa experience. From facials, using custom locally made Comfort Zone products, to body wraps, hydrotherapy, massages, manicures, pedicures, waxing and tinting, Santé offers something for everyone. I often struggle with muscle tension and sore muscles as a result of frequent sports activities and gym sessions so I opted to try the Muscle-Ease Massage (R950 for 60-minutes). This blissful treatment features varying massage techniques with medium to firm pressure on specific muscles to help ease tension and release sore muscles. My therapist did an excellent job at working through the knots that seem to have taken up permanent residence on my shoulders and I felt like a new woman afterwards. If you love a good kneading I highly recommend you try this treatment and follow it up with a beautifying, hydrating facial to combat city-stressed skin. For those who truly need a day or two to get away from it all, Santé’s overnight accommodation packages are a must-try. With 30 individually decorated suites to choose from, as well as a variety of shared lounge areas and other relaxation nooks and crannies, Santé offers comfort and relaxation at every turn. All accommodation options at Santé include all your meals and snacks during your stay as well as coffees, teas, and waters. And, in the case of the ‘Retreat suites’, your accommodation also includes a generous selection of treatments at the Santé Spa facility. 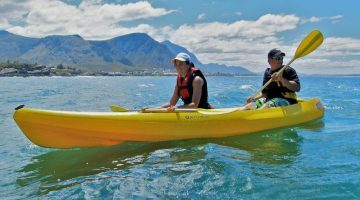 Retreat suites start from R7,500 per person, per night for a single Retreat Suite and go up to R11,500 per person, per night for a double Retreat Delux Suite. I would highly recommend an overnight stay for those feeling like they need a hard reset. It’s the best way to truly soak up the relaxing vibes that ooze out of every corner of the retreat. 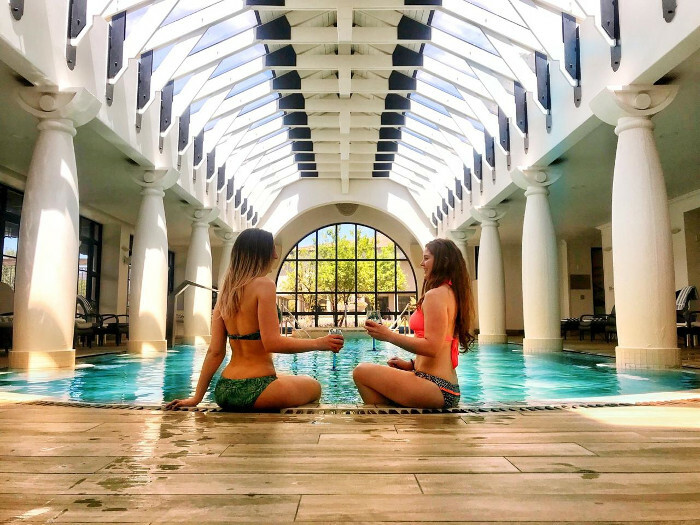 From couples getaways to a girls’ weekend with your mom, sister, or bestie, Santé is the ideal place to press pause on everyday life and recharge your batteries. I stayed the night with a girlfriend and we had the most incredible time at this oh-so-special place. After just one night we both commented that we felt reinvigorated and energised, almost as if we had spent a few days away, not just one night! Our every need was catered for during our stay at Santé, from food allergies to special requests for last-minute treatment changes, the friendly staff were happy to oblige. Lunch is a multi-course affair at the spa eatery. I was also thrilled to find that healthy, natural food and nutrition is a big part of the Santé experience. 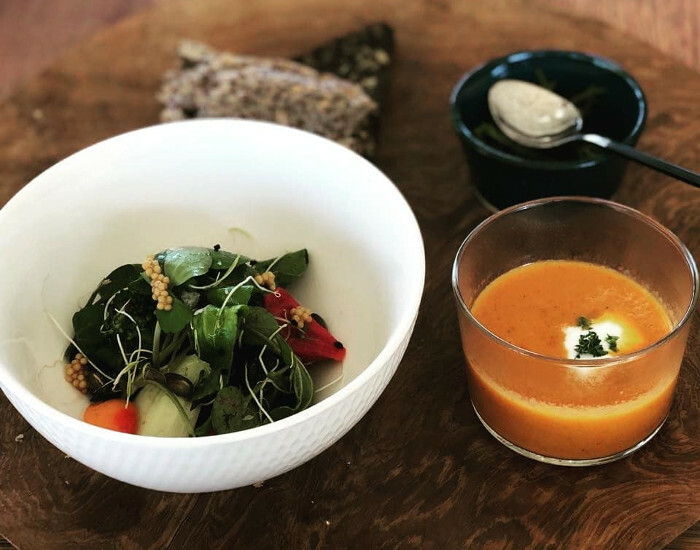 The food and drinks served in both the Day Spa restaurant and the main retreat eatery, Nourish, are based on guiding principles of ‘less is more’ and eating using natural, local, and sustainable ingredients. The food and drinks served are carefully considered and the seasonal menus feature healing foods that serve the body, helping guests to reconnect with food, safe in the knowledge that it’s good for them, and good for the world around them. But, just because it’s ‘healthy’ doesn’t mean you’ll be eating rabbit food your entire stay. Every meal I enjoyed at Santé was packed with flavour and left me feeling satisfied, yet light and full of energy. The food is so delicious that you would never for a minute guess that it is all created using only unrefined foods, without the use of sugar, dairy, gluten, preservatives, colourants and additives. 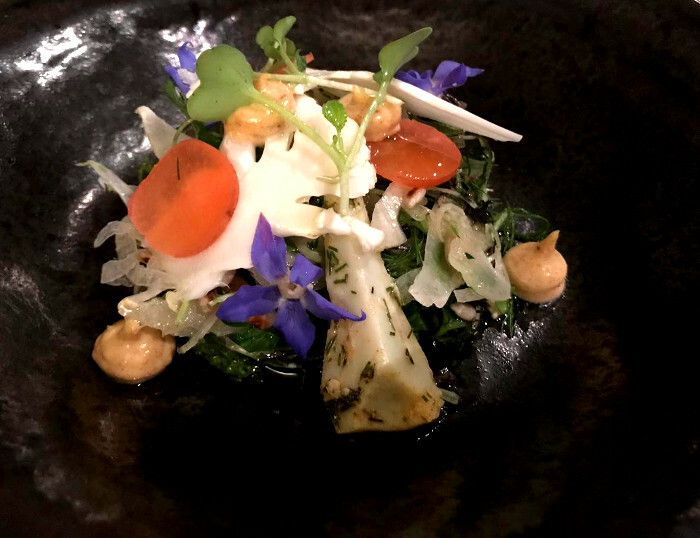 It’s quite marvellous to witness what Executive Chef Terrence Ford and consulting chef Margot Janse are able to create every day without the presence of these often harmful and reactive ingredients. Open to the public for 3 or 5-course chefs table dinners 7 days a week, Nourish offers an exceptional healthy culinary experience. Showcasing progressive nutritionally healthy cuisine with sensational flavours, Nourish proves that healthy food can be inspiring, creative and delicious! A feast for the eyes at Nourish. The food at Santé Wellness Retreat and Spa was definitely one of the highlights of the stay for me. Whether it was breakfast, lunch, or dinner, each dish presented to us was beautifully plated, giving you a taste of luxury without being overly pretentious. Even if you don’t make it out during the day to visit the Day Spa, this spot is well worth the visit for dinner at Nourish alone! It’s a must try for health-conscious couples looking for a romantic spot for a special dinner or even a group dinner where special dietary requirements need to be catered for. Arranging a dinner where most of the group has special dietary requirements can be tough but because nutrition is so important to the team at Santé, they’re happy to cater to various dietary requirements upon request. Find Santé Wellness Retreat and Spa at La Bella Vita Wine Estate, Simonsvlei Road, Paarl. For more information visit the Santé Wellness Retreat and Spa website. For updates on special offers and events say Hi to Santé Wellness Retreat and Spa on Facebook. Next post Unframed Ice Cream Adds 20 New Dairy-Free Vegan Flavours to its Menu!